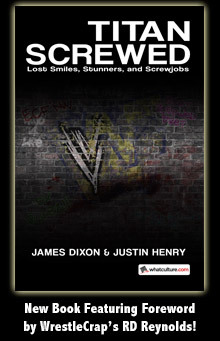 Emerson Witner, Author at WrestleCrap - The Very Worst of Pro Wrestling! Archive | WrestleCrap – The Very Worst of Pro Wrestling! Induction: WCW Champion David Arquette vs Tank Abbott: Remember when Russo wanted to put the title on him? Epic Tweet In Wrestling History-7/14/2014-With special announcement! July 17, 2014 on INDUCTION: Chavo Guerrero, Amway Salesman – Look What Winning a WCW Battle Royal Will Do For You!! July 7, 2014 on Someone Bought This: This is supposed to be Andre The Giant?